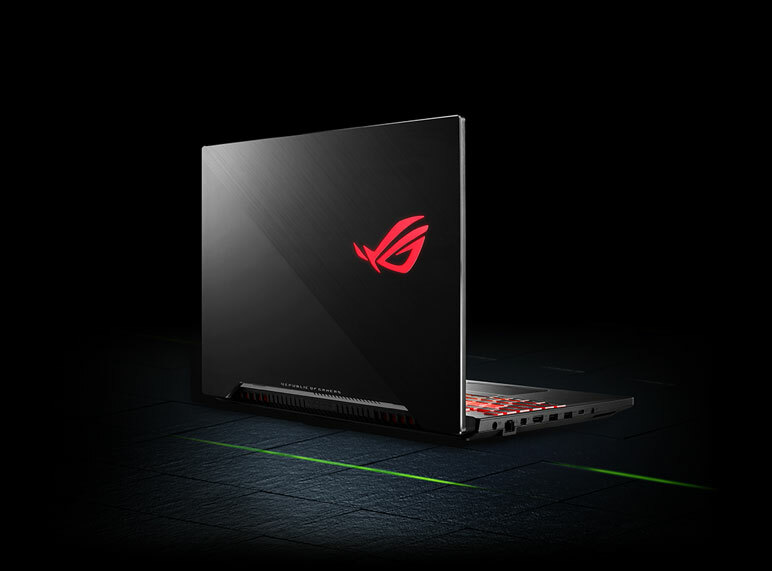 Get ready to experience next-generation realism with the latest ROG gaming laptops powered by NVIDIA® GeForce RTX™ 20-Series graphics. 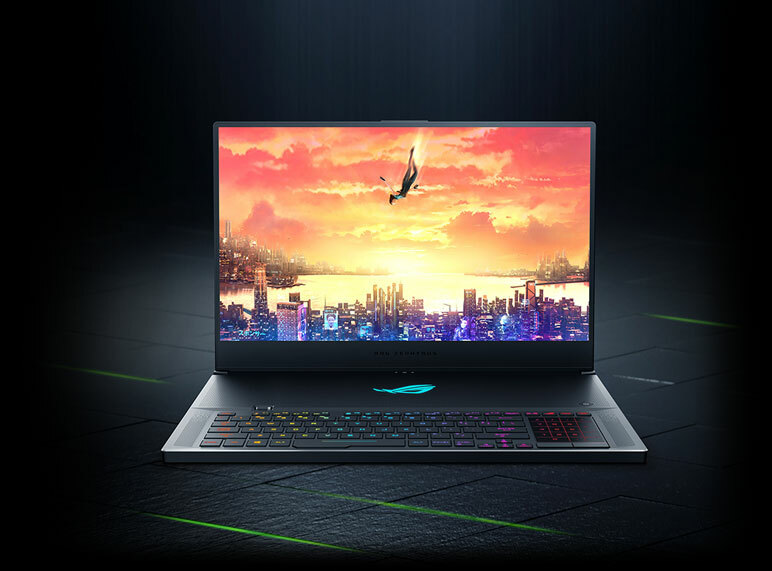 The ROG Zephyrus S (GX701) is the world's slimmest 17-inch gaming laptop, but despite its extremely compact dimensions, it's not lacking in the performance stakes: it's powered by the latest Intel® Core™ i7 processor and the latest NVIDIA® GeForce RTX™ 2080 with Max-Q Design graphics. 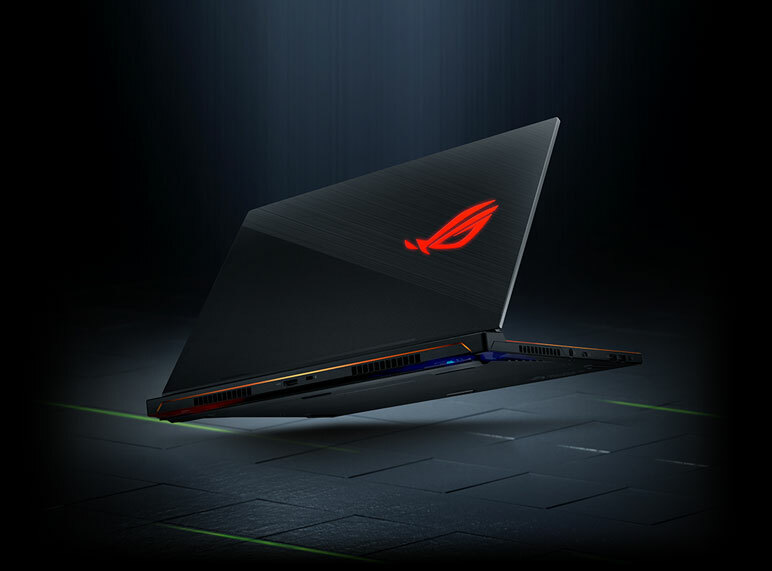 ROG Zephyrus S (GX531) is the world's slimmest gaming laptop, its ROG active aerodynamic cooling system (AAS) and 83-blade fans provide the cooling required by its high-performance components. You can even use portable power packs to charge the GX531 via USB Power Delivery. Designed for FPS players, the ROG Strix SCAR II has a 15.6-inch or 17.3-inch 144Hz/3ms super-narrow–bezel display for immersive visuals. The RangeBoost multi-antenna Wi-Fi technology improves your online gaming experience, providing up to 30% more range, higher throughput, and fewer dropped connections. 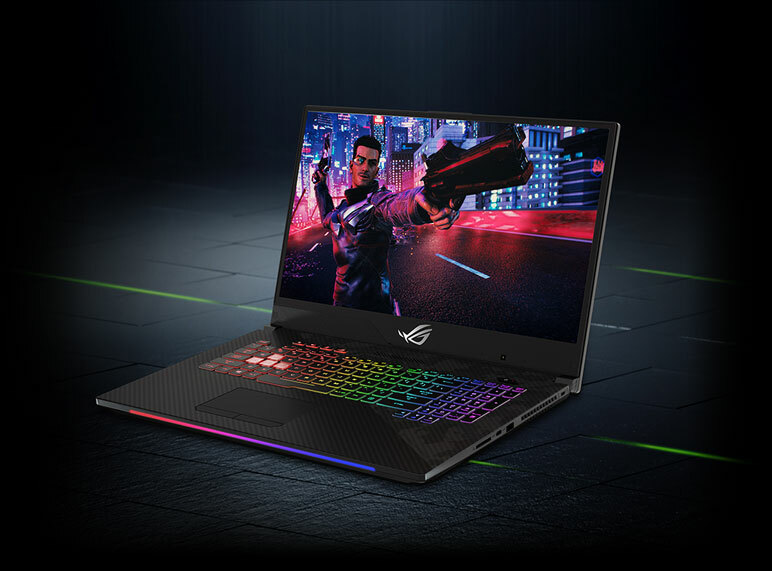 Designed for MOBA players, the ROG Strix Hero ll is armed with an 8th Generation Intel® Core™ i7-8750H and NVIDIA® GeForce RTX™ 2060 graphics to give you the performance to handle gaming and everyday computing tasks quickly and efficiently. ©ASUS Computer International. All Rights Reserved. All specifications and terms are subject to change without notice. Please check with your supplier for exact offers on selected models. Product may not be available in all markets. Products may not be exactly as shown in photos. Ultrabook, Celeron, Celeron Inside, Core Inside, Intel, Intel Logo, Intel Atom, Intel Atom Inside, Intel Core, Intel Inside, Intel Inside Logo, Intel vPro, Itanium, Itanium Inside, Pentium, Pentium Inside, vPro Inside, Xero, Xero Phi, Xero Inside and Intel Optane are trademarks of Intel Corporation or its subsidiaries in the U.S. and/or other countries. ASUS shall not be liable for technical or editorial errors or omissions contained herein. ©NVIDIA Corporation. All right reserved. NVIDIA, the NVIDIA logo, GeForce, NVIDIA Turing, and NVLink are registered trademarks and/or trademarks of NVIDIA Corporation in the United States and other countries. All other trademarks and copyrights are the property of their respective owners. All prices reflect the final price after savings. Offers expire 12/31/2019 at 11:59 P.M. PT.